Last week, the Federal Circuit issued a rather interesting opinion in In re Klein, No. 2010-1411, reversing the Patent Office’s rejection of a hummingbird nectar mixer based on non-analogous art. The Court found that the five references were inappropriately used by the Patent Office because they were not analogous art and therefore not prior art under § 103. What makes this case interesting is the fact that the invention in question, basically a cup with a moveable divider in it, is such a simple device. Under KSR, one would expect that such a simple mechanical device would be particularly vulnerable to obviousness challenges. In addition, the patentee included a purpose clause in his preamble, which many practitioners now avoid. By doing so though, it turned out to narrow the scope of his claim and protect him from the art cited against him by the Patent Office. Mr. Klein applied for a patent on a device for mixing nectar for hummingbirds, orioles, and butterflies. The device (shown below) is basically a cup with a moveable divider. One side is filled with water, and the other with sugar. By moving the divider, the ratio of water to sugar changes creating nectars better suited for different animals. 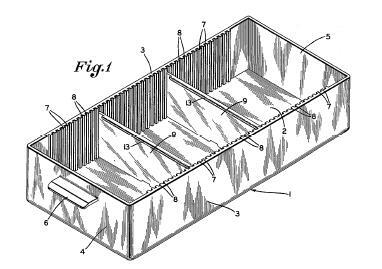 a divider movably held by said receiving means for forming a compartment within said container, wherein said compartment has a volume that is proportionately less than a volume of said container, by a ratio established for the formulation of sugar-water nectar for humming-birds, orioles or butterflies, wherein said compartment is adapted to receive sugar, and wherein removal of said divider from said receiving means allows mixing of said sugar and water to occur to provide said sugar-water nectar. The particular nectar ratios used were admittedly well-known and not novel. The issue in this case was the second test—what is reasonably pertinent to the particular problem—because the cited references were clearly not in the same field of endeavor. The Patent Office determined that the problem addressed by the patent was “making a nectar feeder with a movable divider to prepare different ratios of sugar and water for different animals,” which Mr. Klein did not challenge. Thus, the question was whether the five cited references were pertinent to that problem. and bottles with fixed, separated chambers for liquids that can be combined when the seal between the chambers is breached. Because the first type of references dealt with the problem of separating solid objects without regard to liquids, and the second type of references did not have moveable dividers and did not provide any means for modifying the ratios of the liquids, the Court found that none of the references were analogous to Mr. Klein’s nectar mixer. They attempted to solve different problems, and the Court found that an inventor trying to solve the problem addressed by Mr. Klein’s patent would not have been motivated to consider these references. 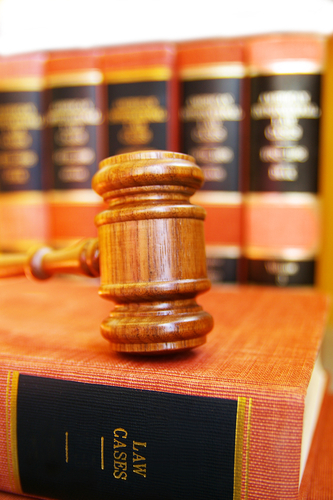 The Court, therefore, reversed the Patent Office’s finding of obviousness and remanded for further consideration. It will be interesting to see what the effect of this case is going forward. It reverses an obviousness rejection by the Patent Office in the mechanical field, but never cites to the KSR decision. It also provides a potential roadmap for avoiding problems with obviousness rejections and arguments. By narrowly drafting the purpose of his invention, the scope of analogous art is also narrowed. As could be seen from the prior art, moveable dividers in containers were well known. Had he more generally claimed his invention, he likely would not have survived the obviousness challenge. While patentees generally try to claim as broadly as possible, often because it is difficult to predict how an invention may be used, there are advantages to claiming more narrowly, especially when the device is rather simple, as it was here. Patentees should carefully consider how broad their claims truly need to be, especially in this post-KSR world. 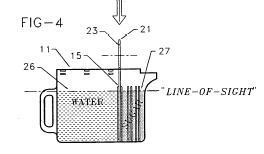 This entry was posted in Patents and tagged analogous art, Federal Circuit, obviousness, patent, patent litigation, patent prosecution, pittsburgh intellectual property litigation, pittsburgh patent litigation, USPTO. Bookmark the permalink.